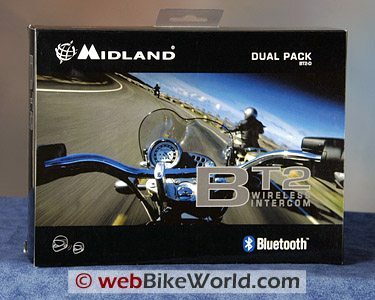 The Midland BT2 intercom system we reviewed in November of 2008 was of the type distributed by Midland UK that was purchased by motorcycle riders in many different countries. Although the original BT2 system was not sold in North America, many riders imported a set, paying list price and the hefty shipping cost for the privilege. 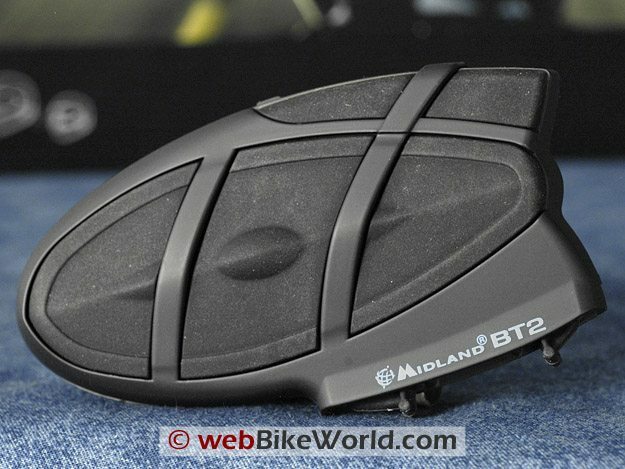 Midland has a long history in the U.S., but for some reason the BT2 wasn’t in their U.S. product lineup — until now. So here’s the good news: North American motorcyclists can now buy the extensive range of 2009 Midland BT2 intercoms and communications systems, which are being distributed by Midland in the U.S.
Midland has added four BT2 intercoms and communications systems to their North American lineup, including the BT2-D system described in this review. 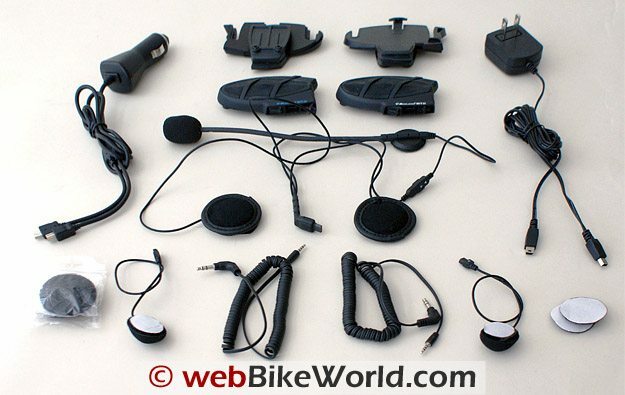 BT2-D: Complete wireless intercom system for both the rider and passenger. Both units connect up to three Bluetooth devices; cell phone, GPS or MP3 Player as well as the intercom feature. BT2-S: A wireless multimedia system for a solo rider with the ability to connect up to three Bluetooth devices that include cell phone, GPS or MP3 player (will pair with other BT2 devices). BT1: A wireless intercom system for communication between the rider and passenger. The rider unit connects up to three Bluetooth devices; cell phone, GPS or MP3 player as well as the passenger unit. 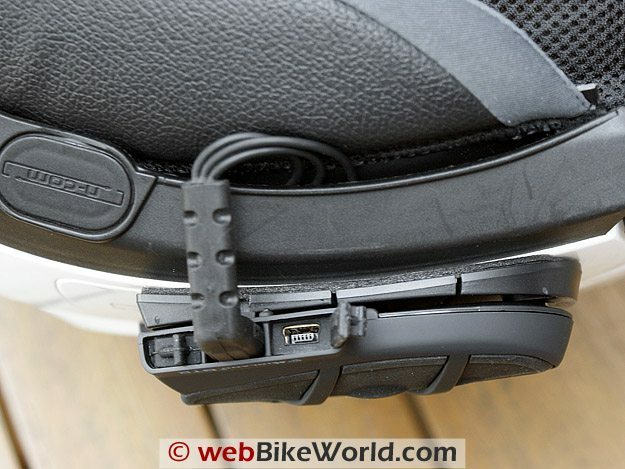 Passenger unit connects to the Rider unit for full intercom functionality and with the included auxiliary cable, can pair with their own MP3 player. BT Rebel: A wireless multimedia system for the sole rider. Unit connects up to one Bluetooth device; cell phone, GPS or MP3 player. 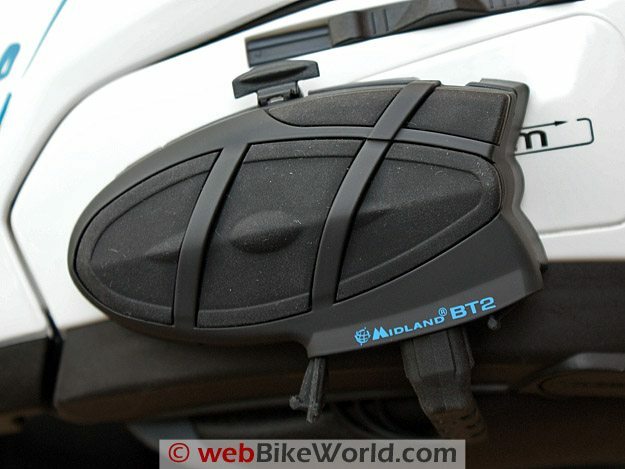 H.B.C., who reviewed the original Midland BT2 system in our 2008 report, has been using the new BT2-D North American version on his motorcycle journeys this summer, and this is his report. This section, Part 1, includes the background and details. Part 2 of our Midland BT2-D reviewcontains a summary of the features and the conclusion. This second look has revealed some minor changes, but unfortunately, not much more. Give it full marks however; everything works as advertised, the system has great flexibility and it is very easy to use. But, the system could be so much more. If Midland wants to tout wireless multimedia system functionalities, some enhancements are needed, like better speakers and the ability to put together a common radio system based on North American standards. I like the 2009 updated iteration of the Midland BT2 intercom system far better than the original version, but there is lots of room for enhancements that could quickly move this system up the pecking order. The Midland BT2 intercom module is the heart of the communications system. For many the riding season last less than six months while for many it lasts far longer, sometimes up to twelve months. No matter your riding season time frame, you can always be assured that new products will be announced or released in time for the prime summer period. This summer’s growing list of motorcycle communications systems reveals some really new and innovative implementations while others on the market have undergone major or minor revisions for release as completely new or updated products. 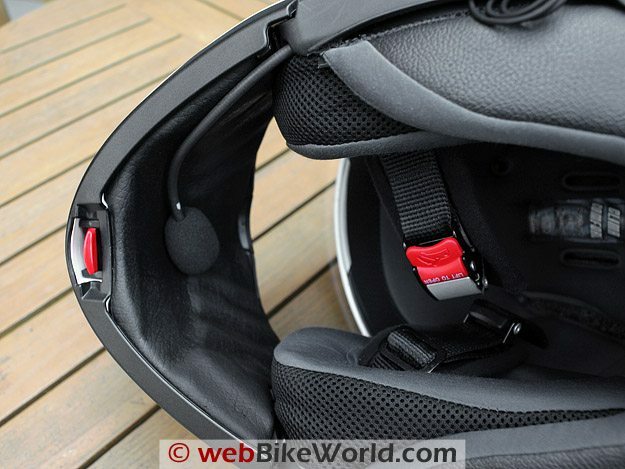 In addition to this 2009 update of the Midland BT2 system, upcoming reviews include the Twiins intercom system from Europe; the new BikerCom system from Taiwan; the Chatterbox XBi and XBi2; the new Vemar CKQI helmets with a built-in stereo system; and possibly the updated Scala G4. 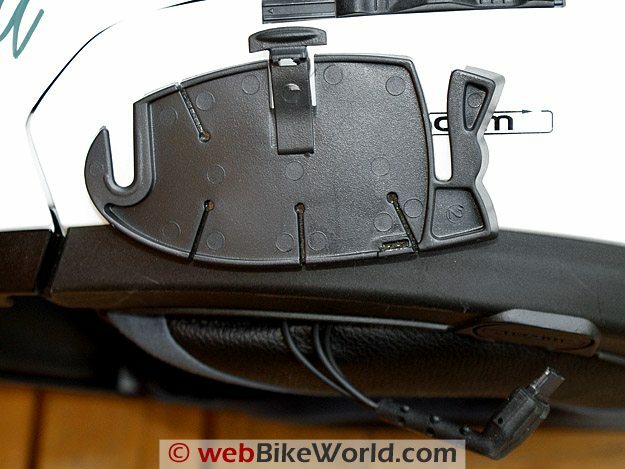 Intercom reviews done the webBikeWorld way (i.e., with the detail and depth our readers demand) take an enormous amount of time and effort, and are also more dependent on good weather conditions than most of the other types of products we review. To get even the minimum number of evaluations done requires a fairly concentrated effort and of course schedules slip, as do deadlines (right Editor?). Nevertheless, I think this planned series of motorcycle communications system submissions will identify some exciting offerings and for those of you who already use wired or wireless systems, some alternatives. The Editor ultimately decides what gets published and when, so I won’t start by saying this is the first of the Summer ’09 submissions, but I will start by saying that it is overdue, mainly due to travel preparations and other time consuming activities such as wearing out tires on seemingly endless mountain curves. Evaluating new products is a rough life, but someone has to do it! The 2009 version of the Midland BT2 Intercom Wireless Multimedia System is an update to the previously released (and previously reviewed in November 2008) original BT2 product. The latest package received from the Editor contained the BT2-D or dual-pack kit with everything needed for two users. I wrote those words and I remember them well. I also remember that some of the subsequent feedback provided by Midland and posted in the Reader Comments and Owner Feedback section of that review seemed to detail that major changes were coming, further reinforced by some of the email correspondence generated subsequent to the evaluation. To be up front, I have to acknowledge that most of the execution and fitment issues identified in the original submission have indeed been fixed and additions to the component listing in the kit are very welcome indeed. On the functionality and performance fronts however, not much has changed. It is obvious that a couple of tweaks here and there have been done, but that’s about it. What I had really hoped to see bundled or, at least sent along for the evaluation, were the supposedly available hi-fi headset (BTH-102) and some radio interface cables. Sadly however, none of these goodies were included and I have only one thing to say in this regard – an opportunity lost. The BT2-D microphone in a Nolan flip-up helmet. The Midland BT2-D kits contains two BT2 intercoms, two audio kits with stereo speakers, two sets of microphones (2 boom and 2 thin-wire), two flex-coil stereo audio cables, two mounting kits (2 screw brackets and 2 bi-adhesive brackets), separate dual connector AC and DC chargers and, the instruction guide. Based on Bluetooth 2.0, the system supports the Headset Profile (HSP), the Hands Free Profile (HFP) along with the Advanced Audio Distribution Profile (A2DP) and the Audio/Video Remote Control Profile or AVRCP. Power output for rider to passenger or rider to rider communications is 100mW (Class 1). The maximum range identified in the manual is 220 yards or 200 meters. The Intercom can be VOX activated or manually controlled via the Intercom/On button. The AGC system provides automatic volume control in relation to background or ambient noise. As with the original offering, private or shared (3-way communications) call modes are supported. User input is provided by three pressure controls that enable Phone, Intercom and Auxiliary (wired or wireless connection). Two smaller top mounted controls provide Volume Up and Volume Down adjustment. The battery is claimed to provide eight hours of talk time and up to two days in standby mode. Initial charge and recharge time is approximately four hours. Overall dimensions and weight of the module are unchanged. Most welcome are the updated mounting components and believe it or not, in second place, the addition of a DC charger. What might seem like a minor addition to some is to me a very welcome and very insightful addition to charging options — especially if there isn’t an AC outlet handy. Close-up of the bottom of the Nolan helmet showing the connector for the BT2 intercom module. I have always liked the thin and stylized shape of the Midland BT2 module, even though the raised section moldings can cause tactile confusion when trying to operate the three main mode pressure buttons (which are, front to rear: Phone, Intercom/On and Auxiliary) that located on the face of the module. Both the clamp-on and adhesive brackets, when fitted with the Bluetooth headset module, are compact and hug the helmet tightly. This placement, along with the matte finish of the exterior really provides a low profile and discrete look to it all — stylish and classy. I was very happy to see that the mounting brackets or fixing plates are now much thicker and sturdier than the original items. This includes the cutouts on the plate that the module slides into and the top pressure clip which actually provides some real resistance and increased security. On the down side, the weather push-caps used for the charger and accessory ports are still finicky to get seated properly and even then, still allow moisture in and around the seal. Even though all the ports are recessed, the short L-shaped connector on the headset harness makes this interface a weak link. 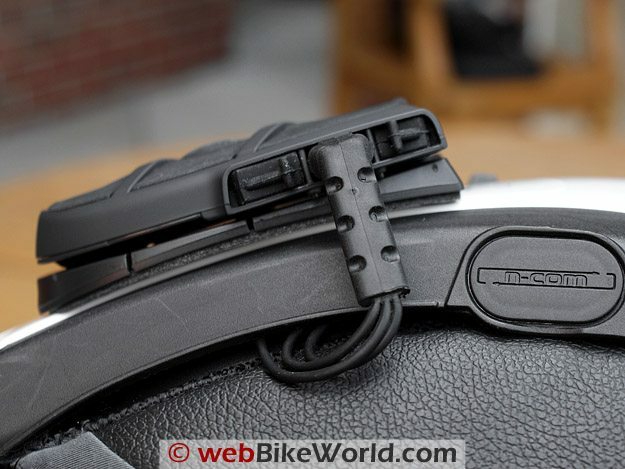 Though angled inwards to reduce its profile and obviously beefed up overall, the headset connector can still be dislodged by a finger, hand or piece of clothing, even though its stronger than the original component. I also realized that the fixing clip arm and tab, even though it is heavier, is still a weak point. With continued use the pressure it exerts on the top of the module, to keep everything seated, is diminishing. Hopefully the rubber bands required in Version 1 to hold the module on to the helmet won’t be needed again. 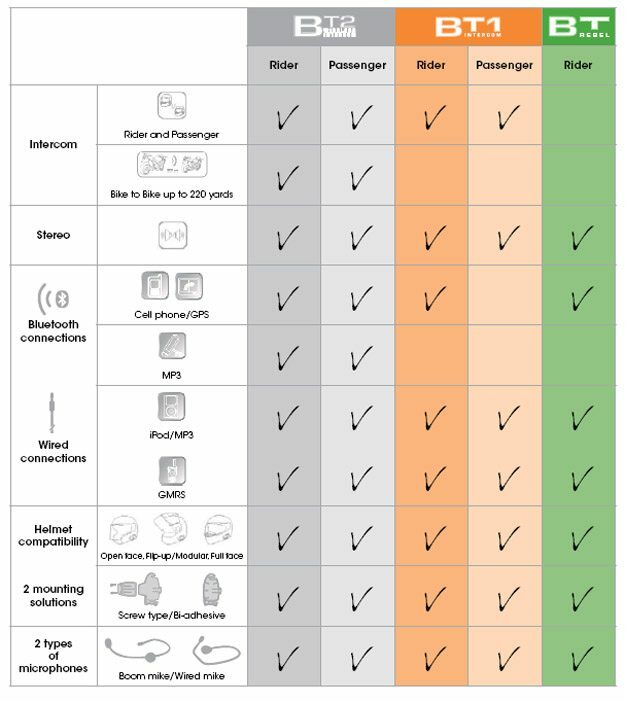 Midland BT2 Motorcycle Intercom Comparison Chart (Courtesy Midland Radio). The first step was to put both modules on initial charge via the 110-220V North American AC adapter (thank you very much) with its dual mini-USB plugs that allows both modules to be charged from the one small power supply. This dual-head feature is a route that more manufactures are taking and as long as both units are used a pair, it works, but if both users are taking different paths and using the systems individually, it won’t. The initial charging took just under five hours, and when pretty much exhausted after a full day of use, the units typically recharge in less than 3.5 hours; somewhat less than identified in the guide. The adhesive fixing plates secured the systems to our new Nolan N-103 flip helmets as the lower edge of the Nolan flip helmets are really hard to use with clamp mounts. As with the previous N-102 models, I will use industrial strength Velcro to secure the many systems that end up mounted on the helmets…saves peeling adhesive off! Headset installation went quickly, but getting the boom microphone secured took a bit longer. Fitting it inside the shell was a bit tricky due to the interior design of the Nolan. Although a cleaner mounting will be done once home, the small channel along the left hand bottom front of the helmet used for the N-Com kit works for now. With the modules charged up and literally forced on to the fixing plate (the heavier construction really works here) and with the Blue and White lettered modules already paired out of the box, initial testing was a piece of cake. The BT2-D intercoms are powered on by pushing one button: the Intercom/On control. Powering them down, however, is done by pushing both the Intercom/On and Auxiliary buttons together. Pushing the middle or Intercom/On button for a second will result in a single tone being generated in both headsets and a second or two later the intercom will activate, indicated by some white noise in the headsets. When the session is closed by the VOX or disabled manually, a dual tone will be heard. Bluetooth pairing is a two-step effort. With the module turned off, press the Intercom/On button for seven seconds — the Red LED will light up and stay on indicating Setup mode. Now push either the Phone or Auxiliary button, depending on the device to be paired to put the module into Pairing Mode. This is indicated by the LEDs flashing a familiar Red and Blue sequence. Immediately put the other device into its pairing/search mode and wait for the two devices to find each other and establish a link. If both devices are compatible, pairing will occur in a few seconds. For pairing purposes, the module remains in Pairing Mode for two minutes at a time and then reverts to Setup mode. Depending on the device being paired, the usual Bluetooth security step might be required, in which case the BT access or PIN code of ‘0000’ will need to be entered. Remember that not all devices require this overt security step before a partnership is established. Once device pairing is completed the BT2-D reverts back to Setup mode. To use the device, push the Intercom/On button for three seconds, the Red LED will go out and be replaced by the slow blinking Blue LED that indicates the system is again ready for use. The base helmet connector plate for the Midland BT2 intercom module. A feature that bears further exploration are the BT2-D’s wireless multimedia system capabilities, something that is specifically identified on the product packaging. The collective abilities are due in no small part to its AD2P and Audio-Video Remote Control Protocol or AVRCP support. If the BT2-D is paired with a Bluetooth device that supports both protocols, AVRCP allows remote control for Play, Pause, Forward and Backward actions of the device’s MP3 player. While many other systems have or are implementing a wider range of media management protocols, the Midland BT2 system has always seemed to perform well. Just remember that not all Bluetooth mobile phones or players, nor all Bluetooth headset systems, support all multi-media protocols, an important factor to consider when shopping. As detailed in the manual, enabling a connected MP3 player is done by pressing the Intercom/On button for three seconds to establish the link with the active paired device, followed by another quick press of the same button to either Play or Pause the player and thus the audio being streamed. To skip forward one song, push the Telephone button: to skip backwards push the Auxiliary button. Disabling the active player is done by pressing the Intercom/On button for three seconds which will result in two separate beeps being heard in the headset. Want to use the Intercom? This can be done two ways: if the VOX option is set, then just talking will activate the VOX circuitry and the intercom. Alternatively if the intercom is set for manual mode, disable the active player as described above and give the Intercom/On button a quick push to manually initiate the intercom. Front and top views of the Midland BT2 intercom module mounted on a helmet. Actually the only thing that doesn’t work well is my cell phone. Both HTC Touch devices and a new Kyocera X-tc Bluetooth enabled phone, purchased for testing and use while south of the border (the Canadian border, that is! ), work really well with the BT2-D systems in phone mode. The mobile phone interface is seamless and fast, but not as fast as the Twiins system (review coming soon). With auto answer and voice dialing features activated, the phones and the headset form a true hands-free capability. Have I mentioned that my HTC Touch is getting even crankier? Must be an age thing… It really likes being a wireless phone headset, but getting it functioning as an audio player is frustrating. Thankfully the second HTC and the new Bluetooth mobile phone work fine. Everything detailed in the guide works as claimed – a relief of sorts given that the original evaluation didn’t raise any real gremlins in this area and I suspect that bugs captured in earlier versions have been exorcised out of the scripts. To see how versatile, or forgiving, the BT2-D is, all the devices were paired as ‘Phone’ (Priority One) and ‘Auxiliary’ (Priority Three) devices – everything still worked well, even with the Intercom (Priority Two) set for either VOX or manual mode use and the Three-Way feature enabled from time to time. Both the Garmin zumo 550 and BMW Navigator III+ were paired, with or without acting as a host for one of the mobile phones. This arrangement is both suggested and is, in reality, the most efficient for priority-based systems which typically treat mobile phones and GPS devices as Priority One for connection and audio purposes. I didn’t pack the Albrecht BPA 100 Bluetooth Adapter (review) or BTA that was used with Version 1 of the Midland BT2 system, so it will be injected in to the support device mix once I return home. What many, including myself, would consider a ‘hiccup’ are the mediocre headset speakers provided with the updated Midland BT2 system. More than capable of providing clear audio with clear stereo separation, the units are nevertheless devoid of real high and low tones and, as such, are far less inspiring than the audio the system is capable of reproducing.